So remember way back on Monday, when I blogged about Council member Tommy Wells’ tweet? The one which admonished the red-hot Lobster Roll truck for doing business near Eastern Market without paying a vendor fee? It also mentioned Lobster Roll patrons shamelessly devouring their sought-after seafood at Marvelous Market’s tables. Well, it is irrelevant whether you remember it at this point because I just recapped it all. Handy! 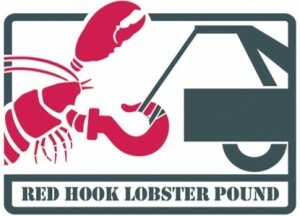 I said I would reach out to Red Hook Lobster Truck to find out more and I did. We eventually connected late Tuesday afternoon, when I had a very long conversation with co-owner Leland Morris about “The Food Truck War”, his business philosophy and whether or not they let people get tacky and mooch Marvelous seating. …which I read to him, twice. What did the proprietors of the most popular food truck in town have to say for themselves? How did he feel about the Council member’s criticism? We take it as a directive tweet in terms of strategy; it’s what makes good business sense. And why would they park in front of Marvelous? On that day, one of our twitter followers saved us a space which was unfortunately directly in front of Marvelous Market. It’s not unusual for us to show up and for there to be 200 people in line, which is fantastic, we love the reception we’ve received from this city. At the same time, it makes it difficult for us logistically to move to a different parking spot once they’ve lined up patiently– we can’t ask them to move. Quite frankly, I didn’t even recognize that we were in front of Marvelous Market due to the flurry of set-up activities. Okay…what about that Vendor’s fee, per Council member Wells tweet? Were they avoiding it? That made sense…if one of my friends were waiting in an outrageously long line, I’d be the first one to start looking around for other retail trouble I could get in to, or alternate restaurants at which to eat, since I’m a vegetarian who hates lines. I probably would’ve spent money while my lobster-lovin’ pal dutifully stood there. But what about the brazen disrespect of customers standing in front of Marvelous Market for hours, potentially obstructing the sidewalk…and then shamelessly sitting down to enjoy a $15 roll at a business at which they spent no money? Yes, the other issue is that people were buying rolls and sitting on Marvelous Market’s patio. And that’s not okay but those were those people’s decisions. A lot of those people were in groups where someone got something from Marvelous Market and a few people got lobster rolls and they sat down together. It’s true though, some people didn’t spend any money. We saw that and our cashier started telling people that the patio is for Marvelous Market customers only. Once we did that people steered clear of the patio. …and there, it’s back again! I mean it– after speaking to Leland, I started to feel an overwhelming positivity. While I only asked him for 15 minutes of his time, he spoke with me for a full hour, answering as many questions as I had, even though he was busy. The only thing I didn’t ask him about was the Red Hook Lobster Truck’s participation in one of my D.C. peeves– “saving” a parking spot for someone else who is several blocks away. Usually, I hate when people do this. It’s lame and unfair. The first person who DRIVES up to a spot should be the one who parks in it; the smug pedestrian who is dismissively waving his hand while trilling, “I’m saving this spot for my friend” should be required to lick the asphalt clean if he wants to squat on it for his slower buddy (told you it was a pet peeve). Having vented all of that, I completely understand why food trucks need to employ such tactics. It’s a different situation from normal space-hogging. They need a place to pull up and if they know where it will be, they can tweet it to the seafood-craving masses, who then scramble away from their desks and line up ’round the block. The system works. Since I appreciate food trucks, I won’t aim my ire at kind Leland and his wheels– but the rest of you drivers are on notice! The District’s 20 most popular street vendors will converge in downtown DC on October 7 and 8 for two full days of art, music, dance and of course the best food the vendors have to offer.